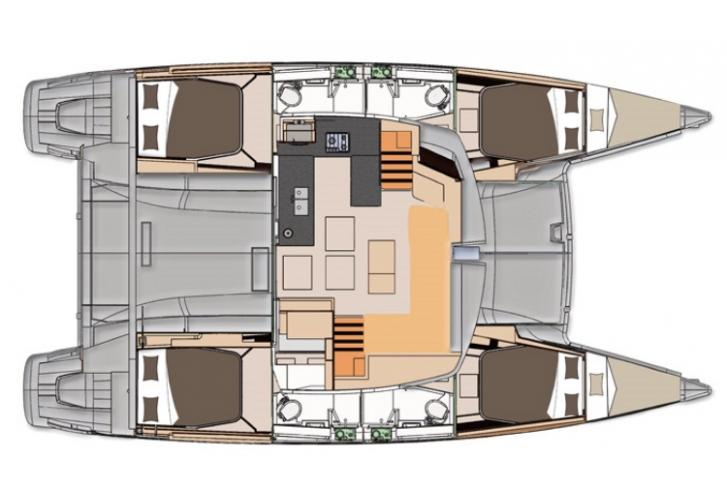 Boat Helia 44 called PRESTIGE was produced in 2014. PRESTIGE is certified for 10 persons. Layout of the sailing boat is 10. 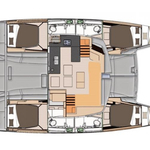 Helia 44 PRESTIGE has 6 cabins. For comfort of passengers there are 4 heads with showers. With engine 55 PRESTIGE can move really fast. PRESTIGE is 13.30 meters long and 7.40 meters wide. 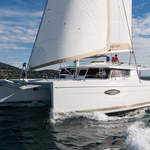 Depth is 1.15 m. Boat's equipment consists of : Anchor electric windlass, Bimini top, Radio / cd player, Mainsail with lazy jack, Gps, Solar panels, Outboard engine. . Nonrefundable caution has value 3000.00 EUR. Choose our offer and enjoy your vacation on the deck of PRESTIGE.